It’s a question we get asked over and over. Can I start house sitting with kids in tow? Can we really enjoy the house sitting lifestyle as a family? 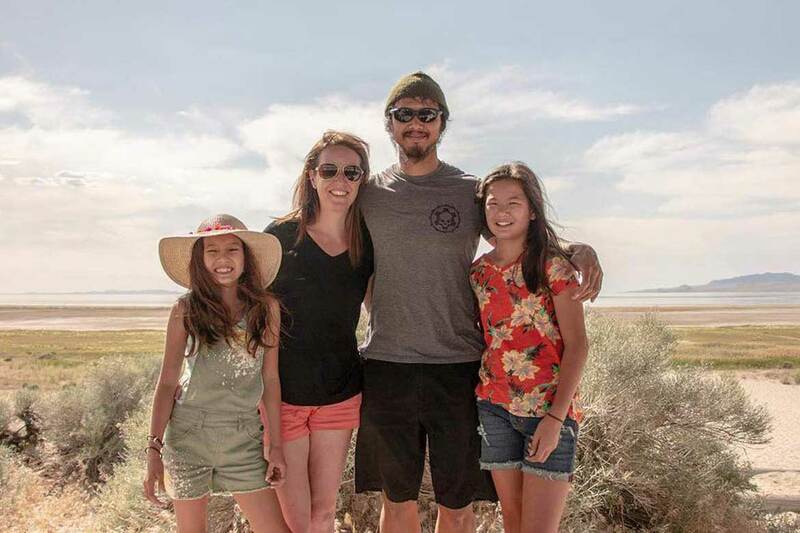 Well, let me introduce you to “The Chiang Gang”, a family of four who have packed up, sold up and are almost three months into their round the world travel adventure, house sitting with the kids! Until recently, Carol-Ann was a stay-at-home mum, living on the east coast of America with her husband Jimmy, and their two daughters, Lana and Alyssa. Carol-Ann, who was born and raised in Scotland, met Jimmy in Hawaii back in 2002 while he was stationed there as a marine. They married three years later. Since leaving active service in 2013, Jimmy became a little lost and unfulfilled, so he set about looking for a new challenge. Over the next five years the couple started a few local businesses, throwing themselves in at the deep-end and experiencing the stresses of small business ownership. By the beginning of 2018 they had made a fairly radical decision. They sold their Cross Fit Gym business, along with all of their belongings in a huge “Living Estate Auction”, leased their home, found loving homes for their 4 dogs, and set off to explore the world! Who’s idea was it to sell up and travel? What was the driving force behind the decision? Jimmy! He’s always been the ideas guy and is constantly coming up with new ones. A much needed change and a complete re-set was the driving force. We’d had a difficult few years transitioning out of the military lifestyle and into civilian. While myself and the kids were pretty happy with our life as it sat, Jimmy needed more – he’d been unfulfilled for some time. We’ve followed others living a more minimal life through tiny home shows over the last few years, and decided to sell our possessions in order to raise more funds to travel. This would also create less attachment to our home, and we hoped that as we traveled, we’d realize how much less we really needed. It was clear from watching your YouTube videos that you had a lot of “stuff”. Did it all sell at auction? We sold a few things ourselves before but really not much. My dining table, some gym equipment. Just things we knew were worth quite a bit more and probably wouldn’t make as much at auction. We were very keen for the auction house to handle the bulk of it and take the weight and stress off us. They took care of all of the rest and I have to say they did a wonderful job and were brilliant to work with. Any surprises – what sold for more than you expected and what sold for less? Mostly cool “man stuff” sold for more than we expected. Furnishings and clothing, although very nice and in great shape, sold for less than we hoped. It really showed us that in years to come if we ever settle down again, a great auction house sale might be the way to go about finding new things for a home at a great price! How did the kids deal with leaving behind all their stuff? The kids had heard us openly talk about the possibility of travel and selling our business and belongings, so it wasn’t like an overnight new concept to them. They were initially a little hesitant about leaving. Mostly for worry about what would happen with our pets, and that they would miss their friends and school. However, they quickly grew more open to the idea and became involved in discussions. I would say Alyssa, our youngest at age 9, was the slowest to come onboard. She has more attachment to her own possessions and takes a lot of pride in caring for her own things. It was harder for her to let go. Family on the whole were very supportive of the idea. Initial concerns were more about the kids and their schooling Our family travels extensively when they can, so they could definitely see the benefits. Some friends were a little more hesitant – more traditional mindsets of “working hard until retirement and doing what is expected” can be hard to break. Most of our friends are in full time employment and not running their own businesses, so don’t fully understand the mind shift between the two. Many are also caught in the trap of consumerism like we were at one time. However, those initially just a little hesitant and more “on the fence”, did show encouragement when they realized we were serious. You talk about not planning too much, being spontaneous. How’s that working out? It allows us a ton of flexibility over where and when we do what. That’s something we haven’t had through years of military service, where even our vacation times were decided for us. We initially just tried to secure as many house sits as we could through North America. We are very happy that we’ve been able to secure 7 sits so far for our 3 month road trip. The pressure is starting to pile on for me, as I’m more of a planner and like to know the next move. So I’d prefer to have a little more organized at this point, in terms of destinations and accommodation. I’m not too worried though. Jimmy has handled many more stressful situations in his career and I’m pretty sure we’ll not be on the streets anywhere. How did the girls react to being told they were being taken out of school and how is the home-schooling working out? The home-school conversation is actually something that has been talked about in our household for a while now. Jimmy had identified a lot of wasted time that occurs in public school. It’s apparent that kids often learn along with the slowest learners instead of being encouraged to push ahead. Our kids are good students and do well in school, but Jimmy had been trying to encourage us to home school for a year or so, but I was completely opposed. It’s something I never wanted to consider. My kids enjoyed school and I enjoyed my time to focus on other things. Look at us now! I finally agreed because of the circumstances and the travel opportunity for us all. I see that as a huge benefit to the kids. The kids were not opposed at all to homeschooling but did protest about missing friends and the social aspect. We’re still facing our initial challenges with schooling. We haven’t established any schooling routine to date and are two months in. Most learning happens on the road through what we see or experience, although so far we feel the kids have had mostly an early summer break, with some learning thrown in. I know plenty of others who are new to homeschooling and manage it. I have heard through other Facebook groups that I shouldn’t sweat it at this point – I’m trying to take their advice! Although it does seem that a good plan of action to establish routine, would have been to start the home school schedule at home before we left. How did you discover house sitting and how much do you plan to use this as a way to experience free accommodation while you are traveling? We discovered house sitting through a Facebook group for travel families. It was recommended as a good way to save costs on accommodation. I researched it a little and registered for TrustedHousesitters and MindMyHouse.com. 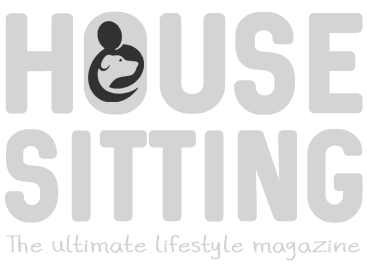 TrustedHousesitters has secured 100% of our sits to date and seems the easiest and more user friendly for us as a house sitting family. We plan to continue to use this throughout our travels. It’s been a great experience for us so far and we’ve really enjoyed it. Pet sitting hasn’t restricted us and the trade off has allowed us a spacious environment for our family and all the home comforts we need. We’ve also met some really great homeowners, learned of their own travel experiences and met their families. You left behind four of your own pups, which I guess was extremely difficult for you all. Are they in forever homes? That was one of the biggest hurdles when making the decision to travel. We obviously didn’t take on our pets with the intention of giving them up – they were part of our family. But we realized this opportunity for our family to travel was one that wouldn’t be around forever, so we had to make some really tough decisions in order to make it happen. We were very blessed to have so many great friends around us. Three of our dogs were re-homed to local friends that we knew. The other went to the parents of the people who are renting our home. They are all in forever homes, are well loved and we receive regular updates on how things are going. It would have been unfair on the pets and the parents if we left them on an open-ended temporary basis, given that we didn’t know our exact plans for return. Knowing they are in great homes and local to our home town means we know we can visit whenever we are back there. Spending time with pets on our travels while house sitting is definitely filling the gap for all of us. What’s been the biggest adventure so far? Various parts of it. Selling everything to have this experience was an adventure in itself. Driving across the US in 5 days was pretty epic and a great experience for us all. Also, driving across the border into another country with the kids was something we hadn’t done before. We’ve just seen so many cool places, beautiful scenery and had a few new experiences together already. The kids loved learning to Ski in Canada. With four of you to consider, how do you decide on a destination? So far destinations have been decided on pure chance and opportunity. Traveling as a family has not restricted us in any way so far. We recently took the kids to Las Vegas, which they loved. Not necessarily considered a kid-friendly destination, but enjoyable for us none the less. How much luggage do you travel with? We have 4 osprey backpacks. They are 70L. We each have our own to carry. Since we’ve had our car we have spilled over some and allowed ourselves to carry a few more items than we should, so we currently end up unpacking the car with loose bags and extra stuff. We figured this 3 month road trip would show us what we really needed and by the time we fly to Europe, we will purge what we truly don’t use or deem as excess. What’s your favorite KIND of travel? We’ve visited Disney several times over the years so aren’t prioritizing that again any time soon. We want the kids to experience real life, different cultures and how other people really live. We want them to learn and remember from their experiences along the way. Lots of people we talk to have safety concerns about travel with kids, or even as adults, what’s your take on this? While there’s always stuff to worry yourself with nowadays, we try not to dwell on it too much. At the end of the day, you really need to live your life and enjoy it and not be scared to experience things. Bad things happen in your own home town just as easily as they can anywhere else in the world. Just use your best judgement, don’t take unnecessary risks and teach your kids how to be safe and read situations if they feel uncomfortable. Tell us about something you’ve done together, that you hadn’t experienced before you left home? We all skied together which was a great experience. While you could ski in the mountains of North Carolina, we never have. For the kids it was their first ever experience and for Jimmy and I it had been at least a decade of two, so we were pretty rusty. We all loved it and would definitely like to do it again. Being together 24/7 can be tough, how do you create personal space? Jimmy and I had plenty of practice with this over the last 4 years working from home, running our business together. We each use our phones or computers as “time to ourselves” and also get outdoors as much as possible. We both enjoy running or working out, so we can do that together or apart, depending on the mood of the day. House sitting affords us a lot more space than a hotel would typically give us. We often have extra bedrooms where we can have time to ourselves if we need it. We’ve even had a few sits with 2 living spaces for separate TV viewing. Do you have an end plan? At this time we don’t have an end plan. We’d like to keep going indefinitely. Schooling may be more of a deciding factor in a year or two as the kids get older. What do the girls think of their new lifestyle? What do you most hope to achieve by traveling and house sitting in this way? A chance to just spend time enjoying experiences together without the distractions of work and other time limiters. We really just want to take this opportunity while we have it. Everyone tells us “your kids grow up fast” and they really do. We just want to enjoy life together while our family is young, have great experiences through travel, and create fabulous memories we can look back on. We’re all young and healthy enough to do it so this is the best time – before the kids have their own lives and agendas ahead of them. Over the years as a military family and subsequently as entrepreneurs, we endured a lot of time apart, a lot of stress and a ton of heartache – some of it self-induced. It’s been a great life lesson, but has really taught us to appreciate what we have together over and above money or possessions. As nice as stuff is, it means nothing and nobody will thank you for it at the end of their days. Experiences and memories will trump it all. Having a little more clarity about that is what really drove it home for us, showing us that we need to live differently and enjoy more. We hope we can inspire others to do the same through our journey, adventures and experiences of world travels. We hope you’ve enjoyed reading about the Chiang Gang, but if you still need more inspiration and reassurance about house sitting as a family, take a read of this article about another house sitting family from the UK.